To encourage innovation in radio communication, Planet is releasing OpenLST, an open radio solution for communicating with remote instruments, vehicles, and stations using low-cost commercial components. OpenLST builds on experience gained from Planet’s UHF radio, which has been successfully integrated and used on over 200 satellites in space. Using this radio, Planet has contacted 100 percent of its successfully deployed Dove CubeSats. Radio system design is often viewed as a “black box” that is out of reach to all but the most experienced of engineers. This leads many educational groups to commercial radio solutions, which are often very expensive, difficult to integrate, and can unintentionally drive other elements of design. A poorly understood radio subsystem can be fatal to any project. For example, communications subsystems contribute to at least 29 percent of CubeSat failures in the first 90 days on-orbit. 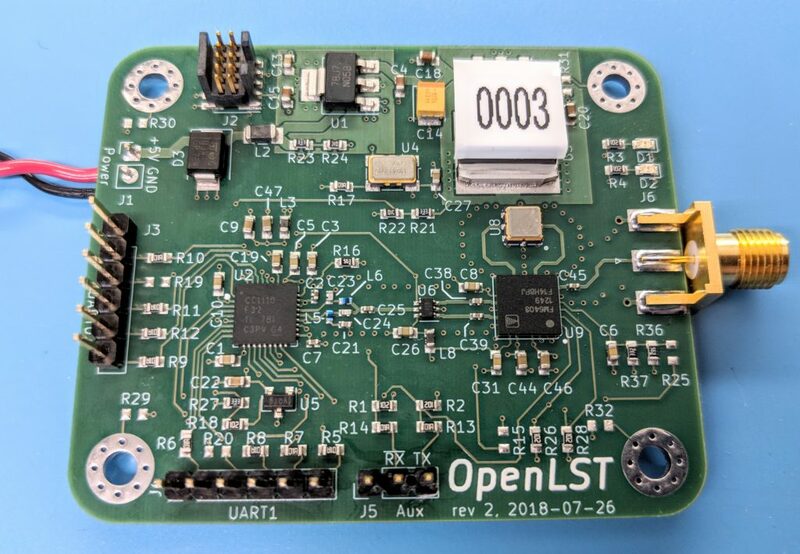 OpenLST is designed with an existing and proven radio using inexpensive and widely available commercial, off-the-shelf parts. Planet releases it today with the goal of lowering the barriers to entry for engineers and engineering projects of all kinds. The OpenLST transceiver is approximately six by five centimeters with a mass of 20 grams. This radio operates on the UHF band and provides 3.5 kilobit per second user data rates. The design also provides time-of-flight ranging that can be used to estimate link distance. Full design files, including schematics, bill of materials, and layout are available by cloning the git repos at the links below. *Note: these URLs may only be cloned using git. Viewing through your browser will not work. Due to US export control regulations, Planet employees are not permitted to discuss or support development of external programs or related development of the radio. Special thanks to Henry Hallam and Alex Ray for the contributions to this project.